There are a ton of great drills to help your putting but if you’re like most amateurs, you’ve got to make the most efficient use of limited time on the practice green. As you’ll see I have a putt with a substantial break. 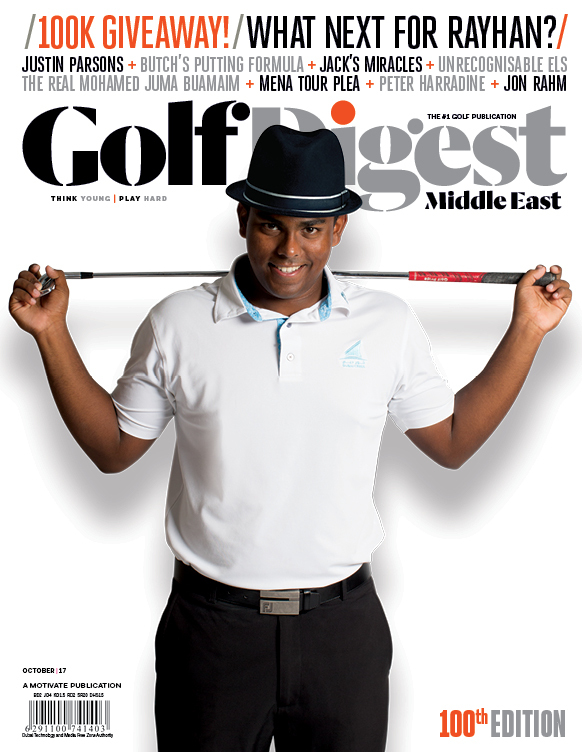 Having surveyed the slope from behind the ball and then at the hole, I’ve selected my start line or aim point. I’ve marked this point with a tee level with the hole. Having selected the line, approximately three feet in front of my ball I’ve placed two clubs flat on the green. These act as barriers to putts that start offline; the gap between them is only a centimetre or so wider than a golf ball. If I make a good stroke without pushing or pulling the putt, the ball will go through the gap and I will know the ball started on my desired line. Many amateurs select the correct line but immediately pull or push their ball so this helps with your stroke. You’ll also notice that I’ve placed an aiming stick three feet behind the hole. If the ball runs past the hole, it should stop before the stick. If I control the speed and the ball is missing on the high side of the hole, I have over-estimated the break. If I miss on the low side, the more common fault with amateurs, I’ve underestimated the break. 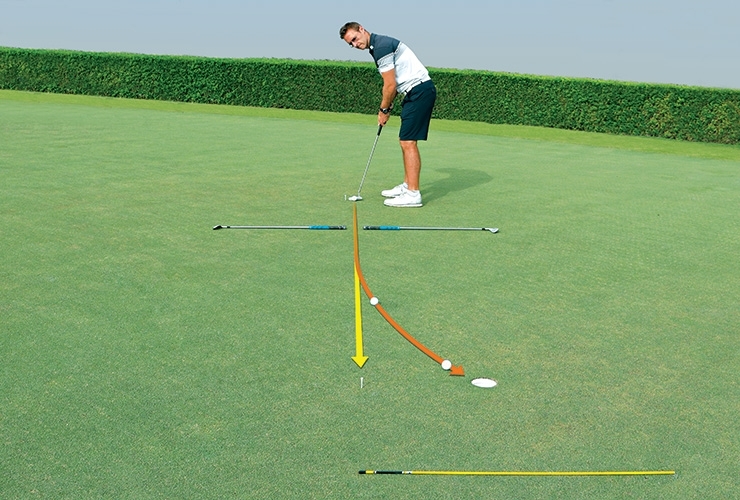 By using this set-up, you can improve many aspects of your putting in a single practice session. – With Kent Gray.